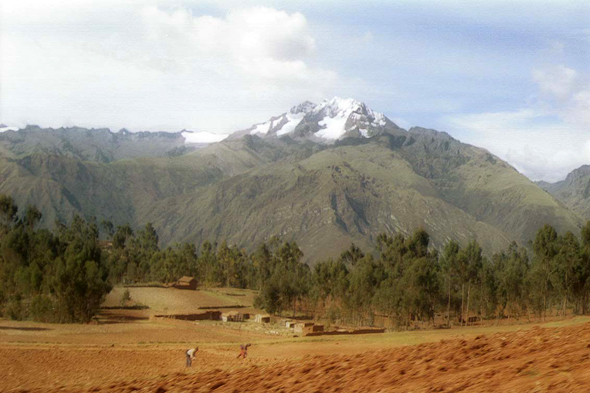 The cordillera of Vilcanota. With the apogee of the Empire, the network of roads and ways reached 24 000 kilometres. Thus wereconnected all the religious and military centres, the foodstuffs stores and the cities. Conceived for the pedestrians and draught llamas, the ways were broad from five to ten metres.